With less than three months until election day, Hillary Clinton and Donald Trump are both acting as if they're allergic to media questioning. Clinton is under scrutiny for failing to hold a full-fledged press conference since December 2015. She has given relatively few interviews this summer. Clinton campaign spokespeople have also been scarce on TV lately. She did call into CNN's "Anderson Cooper 360" on Wednesday night, showing a willingness to take questions about the Clinton Foundation, Trump's attacks against her, and other subjects. But she was noncommittal when Cooper asked about her reluctance to take questions in a press conference setting. "Stay tuned," she said, "there'll be a lot of different opportunities for me to talk to the press." The Trump campaign has turned Clinton's lack of press conferences into a talking point; in a series of recent press releases it has portrayed Clinton as being "in hiding." Trump surrogates have been pressing the case on cable TV as well. But Trump himself has been limiting his media availability, in sharp contrast to the primary election season, when he had a reputation for accessibility. Since a disastrous interview with ABC's George Stephanopoulos at the end of July, Trump has appeared almost exclusively on Fox News. His campaign has declined all interview requests from CNN, NBC, CBS, and ABC. This Fox "cocoon" involves almost-daily interviews with pro-Trump hosts like Sean Hannity. The insular strategy baffles the Republican strategists who say Trump has to broaden his appeal. "He's selling to the people who have already bought the product. And he can't up-sell them because each person only gets one vote," said Stuart Stevens, who ran Mitt Romney's campaign in 2012 and stands opposed to Trump. Stevens described it as "driving in loops around a cul de sac." The Trump campaign is aware of this perception. Asked about Trump eschewing networks not named Fox, campaign manager Kellyanne Conway told CNNMoney Tuesday night, "I think you will see that start to change." Trump's children are also giving relatively few interviews. 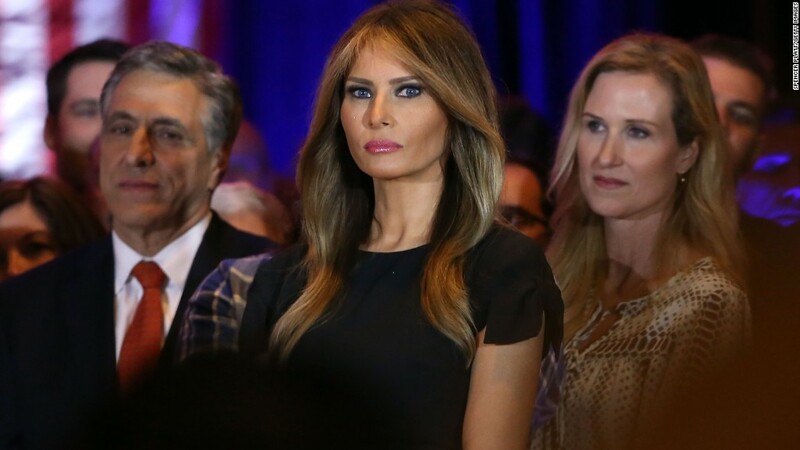 His wife Melania Trump has not been seen on the campaign trail since the Republican National Convention in July. Clinton and her family members are not paragons of transparency either. While the Clinton strategy is more clear -- she is in the lead and wants to stay there -- it is a source of frustration among the campaign reporters who cover her. "From a strategic standpoint for the Clinton campaign, there isn't a lot of upside in doing a press conference, which is really unfortunate, because I think the public would benefit from us being able to ask more sustained questions on policy," NPR correspondent Tamara Keith said on Sunday's "Reliable Sources." Clinton's last full-blown press conference took place on December 5, 2015, during the primary campaign season. The Clinton campaign asserts that her recent appearance at a journalism conference counted, but many beat reporters disagree. The campaign also says that Clinton has granted more than 375 interviews so far this year. The campaign has not provided a list of those interviews, though. And many of them were short Q&As with local news outlets during the primaries. Clinton campaign manager Robby Mook was challenged about the press conference drought on MSNBC's "Morning Joe" on Wednesday. "She is out there answering questions... She takes questions in a variety of formats and we're going to -- we're going to keep looking at that." Mook said the campaign is considering holding a press conference, but was non-committal. He also put the onus back on Trump, saying that "nobody's asking Donald Trump about his foreign connections, about the people that have direct influence over him." When Cooper brought up the press conference issue on Wednesday night, Clinton leaned on the 300-plus interviews statistic and said "I'm going to continue talking with the press and answering questions." As for Trump, his most recent TV interview was a town hall style session with Hannity. It was split into a two-part event on Tuesday and Wednesday night. Stevens noted that Trump is "only doing friendly voices on Fox." "He has a niche within a niche," Stevens said. "He's not sitting down with Megyn Kelly, other than that one time in May. He's not sitting down with Chris Wallace. It's just a comfort zone. It's what he has done during the whole campaign -- he's doing what is comfortable."